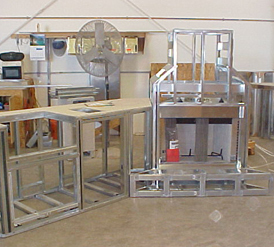 • SUPERIOR FRAMING: Your Backyard Store Island won’t bend or flex – this keeps the exterior from cracking and allows you to move your island from home to home. 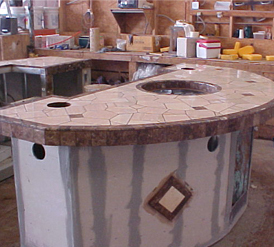 The Backyard Store far exceeds industry standards in the framing of our islands – the bases and countertops are both framed on a minimum of 8” on center. The usual spacing is 16” or more. • FLOATED TOPS AND FIBER-MESHED SEAMS: That’s a fancy way of saying your tile countertops will be flat and smooth and will have reinforced corners. • DESIGNER BASES: Choose the options to give you the look you want – multiple colors and icons (diamonds, palm trees and stars) are available. 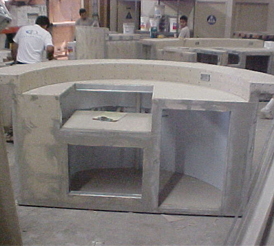 • RECESSED VENTILATION: Our ventilation vents are recessed so the island retains its elegant look. • FINISHED INTERIOR: The Backyard Store finishes the interior of your island with a non-porous, white ABS lining, so the inside space can be used as storage. All framing is covered so that it is not visible from the inside of your island. 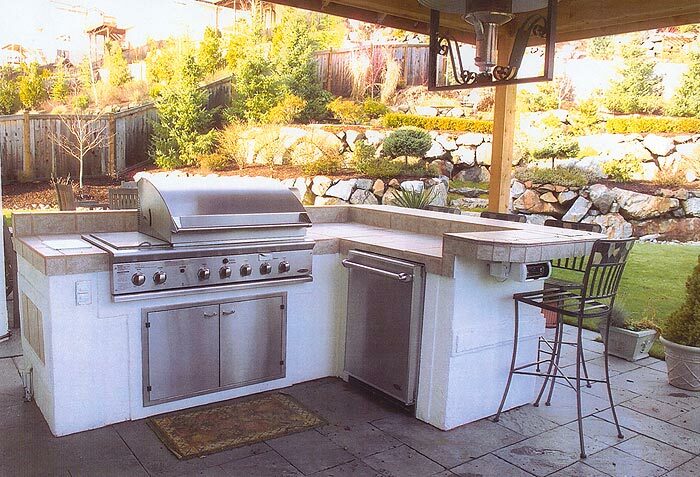 • COMPLETE PRE-WIRE ELECTRICAL SYSTEM: Plug your island in right after delivery and start enjoying it right away. 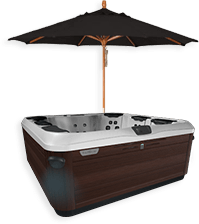 The Backyard Store is the only one in the industry to offer this. This saves you from having to hire an electrician. • QUADRA-TEX FLOORING SYSTEM: Your Backyard Store Island is kept above standing water by high technology Trex composite. 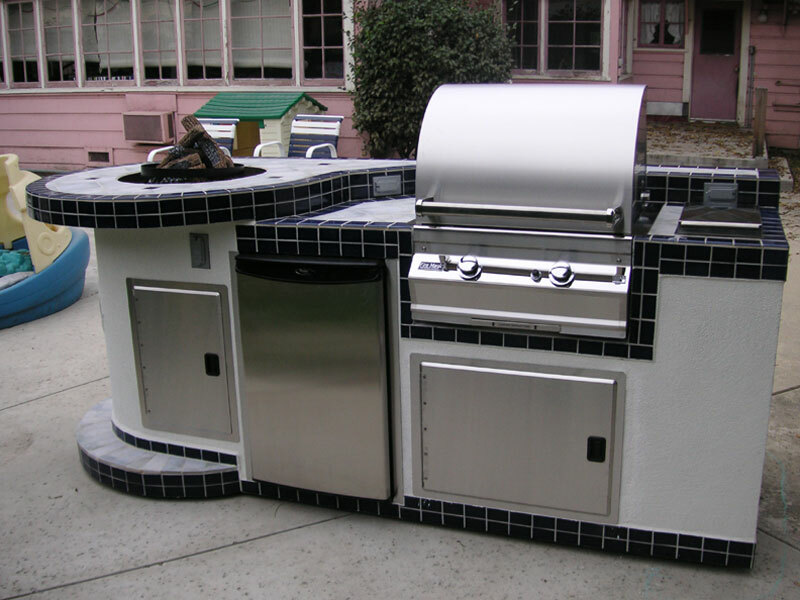 The floor is sealed with a four layer process that keeps moisture and insects out of your island. 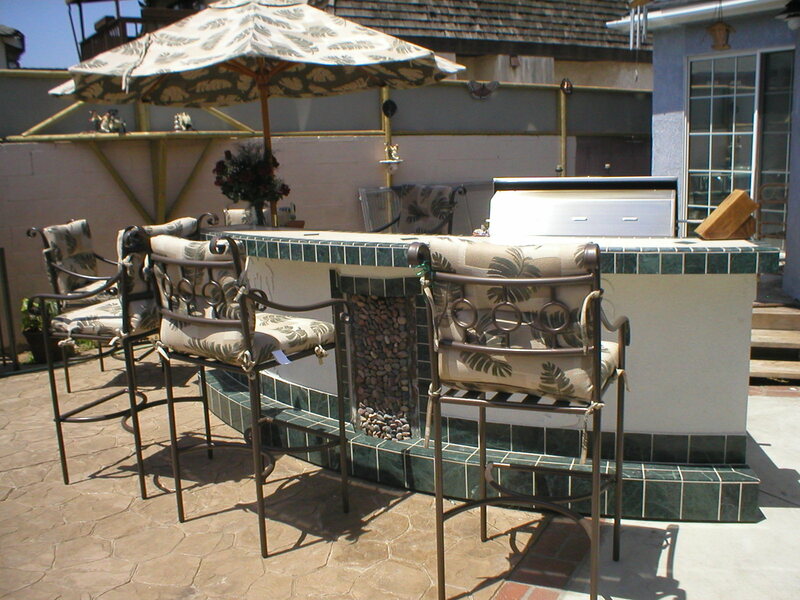 • BULLNOSED TILE: The Backyard Store offers Bullnose edging on all marble and granite tile countertops. • AMERISTONE: Protects like solid rock and flexes so it will not crack. 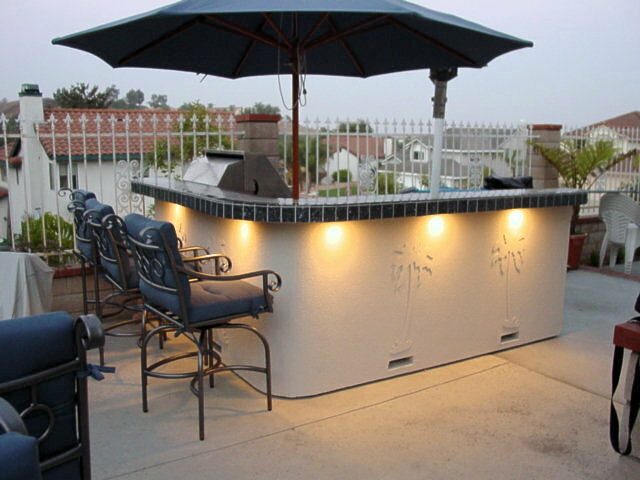 The Backyard Store offers a superior finish to standard acrylic on the exterior base of your island. 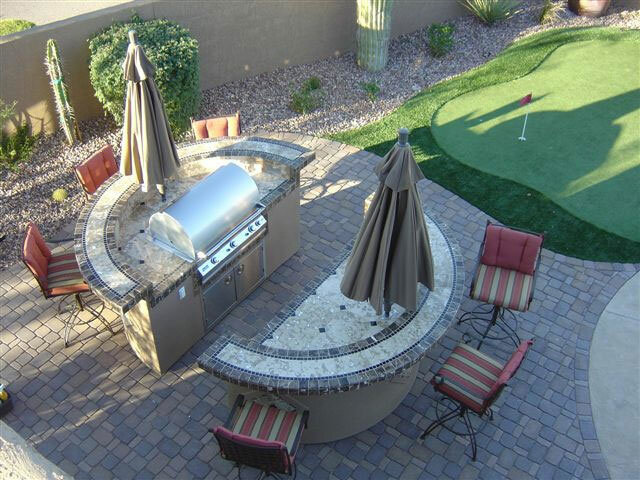 Ameristone is rock solid, beautiful and provides high durability and low maintenance.